Is the tight squeeze in the dining room becoming a problem every mealtime? You are not alone. People living in rentals and small apartments have to make do with a tiny slice of space for a dining room! The cramped space becomes a real issue once the food is served. Guests end up elbowing each other by accident instead of enjoying the food or the company! The good news is, there are clever tiny home ideas that will extend the seating capacity of a small dining room. 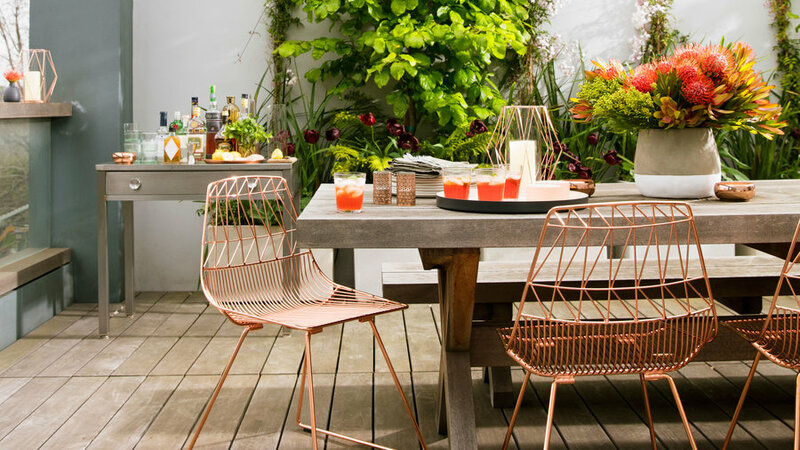 Do you love hosting parties or do you invite your friends over on a regular basis? Whether you love organizing large gatherings or intimate get-togethers with your friends or loved ones, you have to make sure that your needs match the size of the dining room. 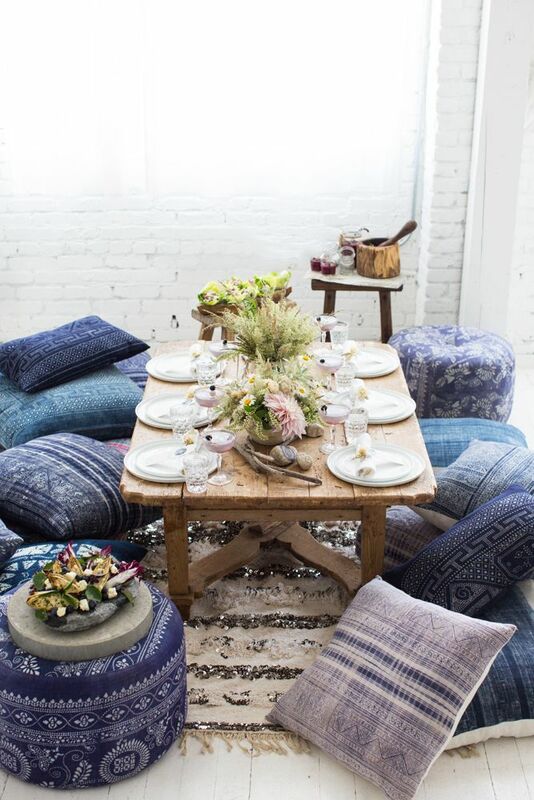 If your dining area is too small for a large gathering, create more spaces for the event. This may require you to turn other rooms into dining areas. If such is the case, I suggest turning the nearest rooms into an extension of your existing dining room. Many homes come with formal and informal dining rooms. With more dining areas, your guests can gather in a single space and enjoy the great food and company comfortably. Traditional dining chairs are great if you have lots of space to work with but for some homeowners who have to deal with limited floor space for a dining room; these chairs are a waste of space. Dining chairs could only seat a single person and if you have ten people coming over, you may run out of room for the other guests. You can maximize the dining room by using benches instead of dining chairs. Benches can seat more people! This goes especially for kids or people with smaller frames, the guests could sit closer together on a bench without feeling cramped or uncomfortable. Bet you didn’t know that a round or oval table allows for more room compared to a rectangular or square dining table. Sure, a traditional rectangular table saves more space but a round or oval table can seat a small crowd much better and more comfortably. Round and oval tables go better with long benches too! If your dining room is too tiny, I suggest tucking the bench into a corner of the room or against the wall and have an oval table to go with it. This increases the space the room’s seating capacity without disrupting the flow of the space! If you are having a party and the dining room just isn’t enough to seat more guests, this is one of the best tiny home ideas to try: convert the adjacent room into an impromptu dining room. This trick works best for small apartments with an open floor plan. Usually, the dining room is set near the living room. You can use the living room to accommodate more guests. This trick allows for seamless mingling and small talks. If you love entertaining guests and you’re planning to use the living room to seat more people, consider investing in sectional seating. This will help stretch the limited dining space for guests. If you are running out of room for your guests indoors, why not use your outdoor space to extend the seating capacity of your dining room? These are the kinds of tiny home ideas that’ll work for dwellings with a small patio or roof deck or perhaps, a porch. This tip is best done ahead of time. If you are anticipating a large group of people coming over, extend the dining area outdoors before the guests arrive. Moving the party outside is a great way to minimize the foot traffic in your home. Guests aren’t bumping into each other. Best of all, the guests have more room to mingle with other guests! You are more likely to squeeze in extra seating space for your guests if you invest in pieces of furniture that are designed specifically for a small room. Large or bulky dining pieces tend to take up too much space. They are also in the way! Compact pieces of furniture will definitely save you more floor space while also maximizing what little room the dining area has to offer. 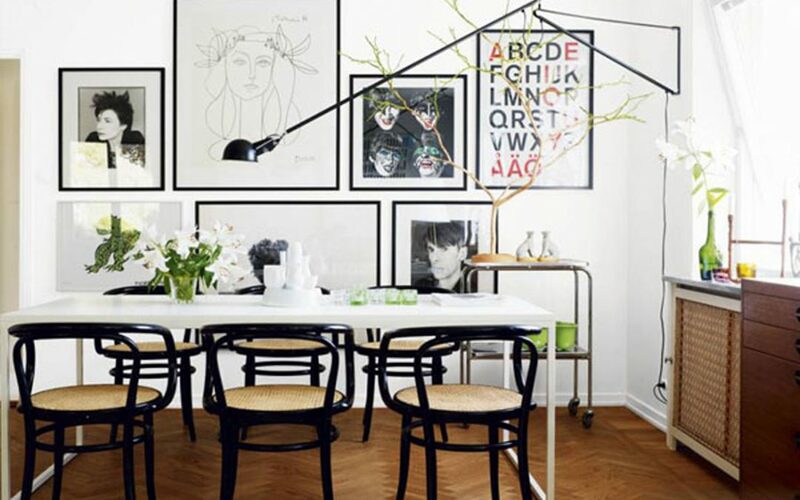 Armless or narrow dining chairs, for instance, will save you more space. These pieces are usually sleek so they do not disrupt the flow of the room. If you have people coming over for a get-together and your dining room’s seating capacity is too small, you have to be creative to seat more people. 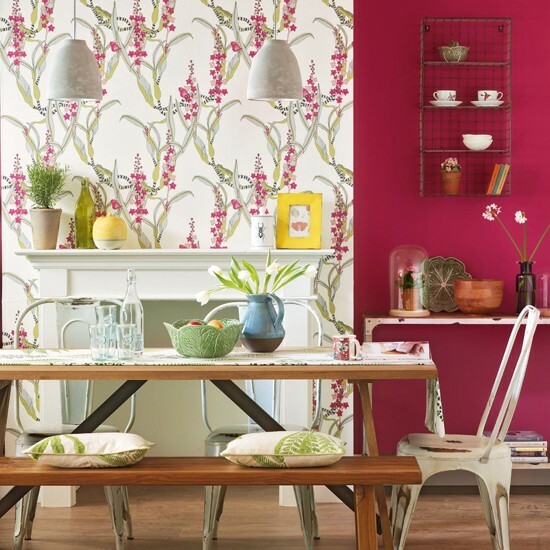 Turning to multipurpose pieces of furniture will give your dining room extra seating space for guests. Ottomans, poufs, even a side table can be turned into an impromptu chair! You can also pull chairs from other rooms to seat guests. Really, when it comes to entertaining a large group of people, get the most of what you have. Every get-together doesn’t have to provide 5-star experience if the space has limitations. Entertaining a large group of people is not impossible, even if your dining room is at its fullest capacity. With these tiny home ideas, there is absolutely no need to break down walls to make the most out of your small dining space.